I first went to Disneyland while I was still in a stroller, and then to Disney World when it opened in 1971, staying in the wing of the Contemporary Hotel. This began my love affair with Disney!!! Our family visited often while I was growing up, and then after I graduated college I went to work at Disney World for the next 8 1/2 years in the Resorts. I actually met my husband while we were both on the Opening Team for the Grand Floridian Hotel in 1988. We moved back up north to be closer to family when we had our own children, but that didn't slow down our visits. Between yearly (sometimes more) visits to Disney World, we have also gotten to enjoy a cruise on Disney Magic. 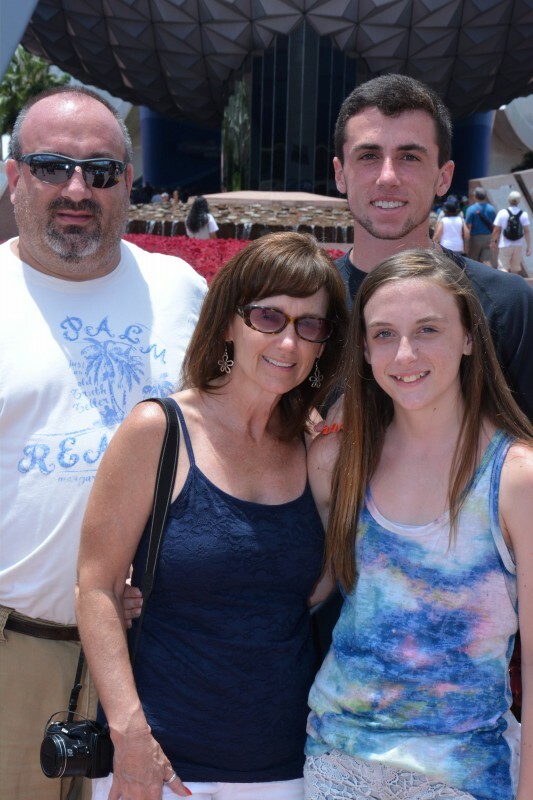 We also take in Universal Studios/Islands of Adventure and the kids loved Harry Potter!! We've been back in the south now for over 13 years, just north of Charlotte, in Harrisburg, NC. Most importantly, easier driving to Florida. Disney is a part of our family, a place where we ALL are able to appreciate the magic. From the moment we return home we are counting down the days until we go back. Becoming a Travel Agent, specializing in Disney travel, allows me to use my years of experience working there, and knowledge gained through the Disney College of Knowledge site to help you plan a magical vacation too. One of my favorite things recently has been cave tubing in Belize 2 years in a row now. Just got back from Disney and Universal...stayed at Cabana Bay and Wilderness Lodge again. I would love to help plan your next getaway. We can assist with cruises, Disney, Universal, Sea World, All-Inclusives, and so much more, at no cost to you. I can't wait to hear from you soon. I look forward to helping you make some fabulous memories!